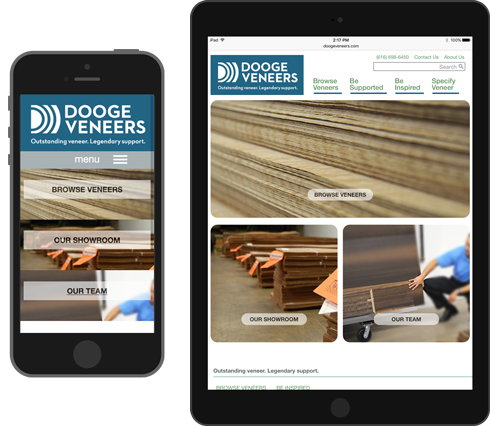 Dooge Veneers, Inc. provides doogeveneers.com as a resource and learning tool for its customers, including architects, designers, facilities managers, millworkers, and end users. Dooge Veneers, Inc., retains all rights to the intellectual property of this site, including all textual elements, trademarks, ideas, the “look and feel” of the site, its color combinations, layout, and all other graphic elements on the site, including photos, images, illustrations, and logos. You should assume that everything you read or see on the site is copyrighted or otherwise protected and owned by Dooge Veneers, Inc., or a third party who licensed the right to use that content to us. Unless otherwise noted, nothing that you read or see on the site may be copied, reproduced, modified, distributed, transmitted, republished, or displayed for commercial use without our written consent. You may, however, reproduce site content for personal, noncommercial, educational, and informational use, and only if you include proper attribution and the copyright notice. User agrees to refrain from harvesting information about other users, uploading or installing any virus, program, process, advertisement, or other item the site, posting any material that is offensive to another user, posting content that violates or infringes on the intellectual property rights of others, modifying information on the website, or engaging in any action that Dooge Veneers, Inc., determines is detrimental to the use and enjoyment of its website. Although Dooge Veneers, Inc. has attempted to provide accurate information on the site, we make no guarantee as to the reliability, accuracy, timeliness, or completeness of that information and assume no responsibility for errors or omissions. We do not assume liability for any loss resulting from the use or unavailability of information on this site. Most veneers displayed on the Dooge Veneers, Inc., website are representative only and availability is subject to changes in market supply and demand. Dooge Veneers, Inc. cannot guarantee that any item displayed on the site is available at the time it is displayed. users should always contact Dooge Veneers, Inc. for information about current species in our inventory. 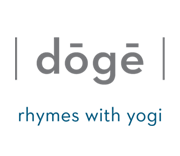 Users agree to hold Dooge Veneers, Inc., and its officers, agents, employees, and contracted workers harmless in any cause of action or claim, including legal fees, related to user’s use of the site. Users are prohibited from violating or attempting to violate the security of the site. We will investigate any possible violations and will cooperate with law-enforcement authorities in prosecuting violators. Links included on doogeveneers.com are provided for the convenience of the visitor. The appearance of a link on this site does not constitute an endorsement or recommendation by Dooge Veneers. We do not generally object to links to doogeveneers.com from third-party sites. You may not, however, use Dooge Veneers, Inc., names, logos, photos, images, or designs in or with your links unless you have specific written permission from us to do so. In general, we prefer that third-party sites link to the home/first page of doogeveneers.com. And we do not allow links that create a browser or frame environment around the content of our site. Dooge Veneers, Inc. honors the intellectual property rights of others and asks the same of users of the site. Dooge Veneers, Inc. may terminate the access rights of users whose actions infringe on or otherwise violate the intellectual property rights of others. We adhere to the highest ethical standards in gathering, using, and safeguarding any information you provide. Personal information is gathered only when users make voluntarily on-line submissions or voluntarily establish an account. We do not rent, sell, or exchange information about website visitors, except as required by law.